In a previous article, I mentioned that close to half the emails I receive are from people wanting to know what is the “best” corset for waist training or tight lacing – but today I want to touch on the topic of waist training vs tight lacing (or tightlacing or tight lacing) because it’s very important to know that they are not synonymous, and the definitions vary depending on the source. Some corset companies use the terms interchangeably, which can be confusing or possibly even dangerous because saying that a corset is designed for “waist training”, a client may come along with an entirely different idea of what “waist training” really is, and may end up using the corset in a way that it was not designed for. So when a corset company (especially an OTR company) claims it to be appropriate for waist training, be very careful about how they define the terms waist training vs tight lacing before you decide to invest. Email them and ask them to get more specific, if possible. I have talked about the book Corset Magic before (written by Ann Grogan, owner of Romantasy – you can find the book here). The book is primarily about waist training, but there is an entire chapter featuring different people’s arguments about what is and what is not considered proper “tight lacing”. After 3 years, I still refer beginners to this manual because it is a wealth of information. Some people say that tight lacing is anything beyond a 4 inch reduction. This may be challenging if you have a natural 24″ waist, but easy if you have a 40″ waist. This Contour corset is my main waist training corset. I waist train primarily to achieve a certain tight laced reduction. Others say that tightlacing is anything more than 20% reduction, which would obviously be different if you are starting from a different size. This would be the equivalent of a person with a 24″ waist lacing down to about 19″, while the person with the 40″ natural waist being able to lace down to 32″. Still others say that tight lacing is arbitrary and dependent on the individual’s personal squishiness, tolerance to restriction, etc. Therefore two people with the same starting waist may each cinch down to a different point, they may have a different apparent hip spring, etc. but as long as they are laced to the point where it is a ‘challenging’ (but not painful) reduction, each may be considered a tight lacer in their own right. At the time that I’m writing this, own views of tightlacing hover somewhere between the second and third points. In my own experience, I can differentiate between “lightly laced” (feels like nothing) “moderately laced” (snug), “tight laced” (challenging but not painful) and then “over laced” (which is where you may begin to feel unwell or in pain – in this case, you have pushed yourself too hard and I’d advise not getting to this point for any reason, not even to “test yourself”). Nevertheless, almost everyone I’ve talked to seem to agree that tightlacing is something that can be done “once in awhile” – for photo shoots, performances, special events etc. In the case of waist training, this is not something that can only be done “once in awhile”. Just like weight training, voice training or marathon training, waist training is something that you work at over time. It involves a certain intention, end goal, consistent work and dedication. I can’t lace down by 4 inches. Can I still be called a waist trainer? If you are just starting out with waist training and you cannot tolerate high reductions, then you can still call it waist training if you want. Some people wear their corsets all day, every day at a 2-3 inch reduction, which to most lacers would likely not be classified as “tightlacing”. But I know a few individuals who have actually noticed a difference in themselves while lightly laced if they consistently do this for 6 months or more. If you’re petite with a natural 22″ waist and you can’t lace down that much – or even if you’re larger but you just can’t tolerate a lot of pressure – but you are dedicated and try to wear your corset on a near-daily basis, don’t let anybody tell you “that’s not waist training”. Like I said, definitions vary depending on the source. If you can tightlace, and you do so every day (even if you only do it because you enjoy it and don’t have particular goals), some might be consider this to be waist training as well. You can be a tightlacer without waist training, and you can waist train without being a tightlacer (to a point). But many people are both at the same time, if they can achieve high reductions for long durations on a daily basis. Some people waist train so that they will be able to tightlace to a certain reduction – so if I want to close my 20″ corsets, I have to train to get there. Many other people waist train with the intention of making their natural waist smaller even when they’re not wearing the corset. Waist training (corset training): achieving moderate to high reductions in a corset for long durations (months or years) with the intention reducing one’s natural, uncorseted waist – whether by indirect means (e.g. weight loss), or by direct means (e.g. altering muscle, ribcage and/or fat-pad morphology). Is it possible to “accidentally” waist train (reduce your natural waist without intention)? Yes, it’s possible – I know some people who wear a corset every day for medical purposes (e.g. to relieve back spasms, or to provide bust support) and many have experienced that their natural waist measurement reduces over time. Some of these have been delighted at the “unexpected perk” to wearing corsets, but several others have been annoyed or upset by this development. Continually purchasing smaller and smaller corsets is not something everyone can afford, so sizing down can occasionally be unwanted. This individual may not consider this “waist training” as they used the corset for another reason entirely, but some others might consider it “accidental” waist training. HOWEVER – other people may consider this a “happy accident” to train their natural waist down. In one sense, this is what happened to me. I used to have corseting goals of making my natural waist smaller – and getting back down to a natural waist somewhere around 24 inches, which was where I was at when I was around 20 – 21 years old (at that time, my waist was achieved with diet/ exercise, not with corsets). These days, I don’t have the same goal of having a natural 24″ waist. The main purpose for my waist training was to be able to close my size 20″ corsets – I was waist training to achieve a tightlacing goal, and as I got closer to that goal, my natural waist dropped from 28-29 inches down to about 26.5 – 27 inches – and it would stay that way for 24 hours or more after taking off my corset. (However, if I stopped maintaining that reduction for weeks, my waist would begin to expand again). Having a naturally smaller waist was a waist training bonus for me, even though it wasn’t my primary goal. What corset should I look for if I want to Tight Lace? has a hip spring and rib spring that is wide enough that the corset will effectively cinch in the waist without squishing or pinching everything else. A tightlacing corset may be either custom fit or standard size. I have two video on how to shop for a tightlacing corset, whether you’re shopping in person/ in store, or if you’re shopping online. What corset should I look for if I want to Waist Train? This custom Puimond corset has a coutil strength layer, a smooth floating liner, waist tape, and carefully dispersed bones. All this makes a waist training corset not only more comfortable, which means you will be able to lace tighter and longer in comfort, but it also lasts longer without falling apart and overall, it’s more effective at molding your body and will be a more positive experience. You save time, you save money, and you save yourself from discomfort and frustration by choosing a higher quality corset that is made for the job you’re giving it. THE BIG QUESTION: is it possible to waist train in an OTR, tight lacing corset? It’s possible. You may see progress, but it might not be as comfortable compared to a waist training corset. Depending on the brand, your corset may break or stretch significantly after a few months because it wasn’t designed to take daily rigorous use. Like I’ve said in many Youtube videos and blog posts before, an OTR corset is something that you can test the waters with and see if corseting is for you. If you are tight lacing on an occasional basis or wearing it for temporary shaping and fashion, OTR corsets are fine. But after the first OTR corset, if you want to cinch down past the advised 4-6 inches and continue sizing down in corsets, it would be worth your while (and probably your wallet) to get a well-made, properly fit corset that will hold up to the tension you put on it and last you a long time. If you see an OTR corset company that boasts up to 6-8 inches reduction and says they’re appropriate for waist training, and especially if they make no distinction between tight lacing and waist training, proceed with caution. Educate yourself as much as possible before investing in a corset – your body deserves the best. How do you define tight lacing vs waist training? What do you think are the features of a good tight lacing corset vs a waist training corset? Let me know in the comments below! It seems to me that from your discussion, and my own personal experience and knowledge, telling the difference can be simply stated like this. A waist trainer is someone who wears a corset for the long haul… like the marathoner you mentioned… Whereas the tight lacer would be the sprinter doing the 100 yard dash. A marathoner can run for a long time, and occasionally sprint for a short stretch while returning to the natural marathon pace, but the sprinter cannot endure the long haul of the marathoner. Waist training can take years to accomplish your goals, and wearing a corset every day (I still can’t sleep in a corset, but wear one for about 17 hours each day.) On occasion, when the fashion requires it, I can further reduce my waist 2-3 inches for a special evening, or event. On the other hand, a tight lacer can achieve the same reduction as my further reduction, and maintain this for several hours, but couldn’t stand to wear a corset for even 4 hours each and every day, without serious waist training. I am a side saddle rider using occasionally for certain costumes a corset but would be interested in starting waist training to actually reduce on a more permanent basis my waist and on a bigger reduction then the 2-3″. Also because I ride re-enactment and a lot of the Victorian costumes require a really smaller waist to look good. After I see results, do I have to keep wearing my waist trainer ? Hi Sarah, yes some maintenance is required or your body will slowly revert back to its original shape. Same as if you stop lifting weights, you’ll lose muscle and strength, and if you stop stretching, you’ll lose your flexibility! I have a video going into more detail about the permanence of a small waist here. I’ve actually lost 3” inches off my waist just by wearing fashion corsets on occasion! I’ll be starting to waist train now with the MCC6 in 18”, which has my exact measurements. I’m very excited! Hi Maribel, feel free to send in a contact form with your natural body measurements, and I will let you know which corset will suit you best. I’m looking to get started to reshape my waist. Per your recommendation, I wanted to get a custom fit one, but I’m really worried because I would like someone in person to help me start out. I live in Chicago and I’m having a hard time distinguishing between just intimate corsets and real steel bones shaping ones. I’m hoping you could share a recommendation of where to go. I appreciate it! Hi Alison, I believe the only custom corset maker in Chicago is Morua Designs, who is very highly regarded in the corset industry! You can also check the corsetiere map here. Today was my first time trying on my new corset. I like how it looks on me, although, I was worried if this could affect our health? 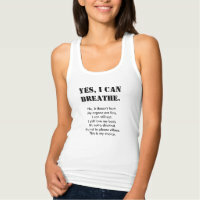 Mine was still breathable, but doesn’t it affect the circulation of our blood in the long run? And how long can we wear corsets in a day? Hi Rose, I have MANY articles on the physical effects of corseting, just check out the category on this blog, or see my Youtube playlist. I’m a crossdresser who started looking into corsets for an aesthetically appealing form of back support with the obvious curiosity about the waist training aspect for a more feminine figure. I’m hooked!! I just couldn’t resist lacing it all the way and my figure is so pretty while my back has never felt so safe( did I mention I’m in love with the gorgeous changes to my figure?) ! I wear it every minute except to shower and go to the gym(which I’ve just purchased a training belt to wear at the gym so I don’t lose any of my progress. My problem is the quality and fit are questionable on the piece I have now. I ordered it from corsets boulevard in the uk as a trial run to see if it was something I would be willing to dedicate my time and energy to. It’s my favorite article of clothing now but it is falling apart already. The strip that goes around the middle perpendicular to the bones is tearing and one of the bones itself has poked through. I’ve only had it a week and I was assured by the representative over there that it would be suitable for tight lacing.. Not true. I’ve read in a few places that a custom fitted one is the ideal to be sought after and I was wondering if you knew if anyone in Arizona who does such things? I’m so addicted to this that I’m frantic thinking about being without one if this one completely gives out but I don’t want to be ripped off. Can I ask what you would suggest? Hi Austin, sorry for my late response! The only custom corset maker I know in Arizona was Crumpet Couture (you can find her on the Corsetiere Map) but last I checked she was no longer active. I have another article here on feminizing corsets made by other custom makers, and some of them are able to do long-distance mockup fittings – this may open up your options. It sounds like you didn’t season your corset properly which is why it’s ripping and breaking. ??? ?be more careful with the next one. It doesn’t matter who makes it or what’s it’s made for, if it’s not seasoned properly it will rip and brwake. When I began my training, I was stunned by the cost of the custom made corsets. Some were as much as $500 USD. I found a location on-line, corset deal, They have since stopped making custom sized corsets, (you had to provide them wit something like 20 different measurements… I guess new management) but still make very good quality, inexpensive corsets that are specifically designed for waist training (extra bones and all) and I recently bought one OTR for $36 USD. I wouldn’t recommend them for long term use (years of daily wear) but going through the stages of ever increasing reduction, this is a great economically feasible place to get corsets that may only fit for a couple months till you need a smaller size. When you get to your desired waist size, then go for the big bucks corsets for long lasting enjoyment. When seasoning what is the “2 inch reduction”? hey, I’m a 21 year old woman and I’m looking to shrink my waist to be pretty curvy but not freakishly curvy if you know what I mean. I just want a waist like Kim K, Khloe etc. my question is: Does corseting shrink your waist more??? or does Waist training shrink your waist more??? Hi Mark, I have a whole gallery of corset makers who specialize in feminizing corsets. Clicking on the pictures will redirect you to their website where you can learn more, contact the corsetier(e) and order. I hope this helps! Where can one get a custom made waist training corset, preferably in Texas? The Renaissance fair near my city is pretty big and they usually have lots of different corset shops, although I don’t know that I could use any of these for waist training. Some have claimed that I can, but I would rather know that what I’ve purchased is doing what I want for my body. I am 22 years old, 122 pounds, 5 ft 4 in tall, skinny/athletic body, and a 29 inch waist. That’s the problem. I’m not very curvy, so my waist looks extra big and I hate it. I work out regularly and eat healthy for the most part, so I just feel that the whole diet and exercise thing does not work for my goal, especially since spot reduction is not possible. If I lose weight to lose inches off my waist, I would probably not be healthy. Any information would be very helpful. Hi Eve, have you looked at the links for Texas in the Corsetiere Map? It should be close to the end of the page – or if you click on the interactive map directly, you can zoom in and find the corsetiere closest to you. Lovely Rats Corsetry is very popular these days! I have been considering waist training for a couple months now and I have decided to purchase a corset I am wondering what website is recommended for online shopping… I’m looking for one I can wear all-day long and and that won’t look bulgy under clothes or muffin tops at the bust yet still shows Results… any recommendations? Hi Samantha, a good place to start is the Lace Base, which is a table of corset brands and styles that are available online for purchase – they are standard sized, and their proportional measurements are all listed for you. Most are also in the interactive calculator, if you were already curious about a specific brand. If you want a corset that doesn’t allow for bulging flesh or muffin top, it’s important to find a style that offers the proper amount of rib-spring – i.e. if you want to buy a size 24″ corset but your natural ribcage is 30″, then don’t buy a corset that is known to have a top edge that measures 27″. You will want a corset that has a ribcage that measures 30″ (and the rib spring will be 6 inches, which is 30″ minus 24″). I hope that makes sense. Here is the Lace Base. 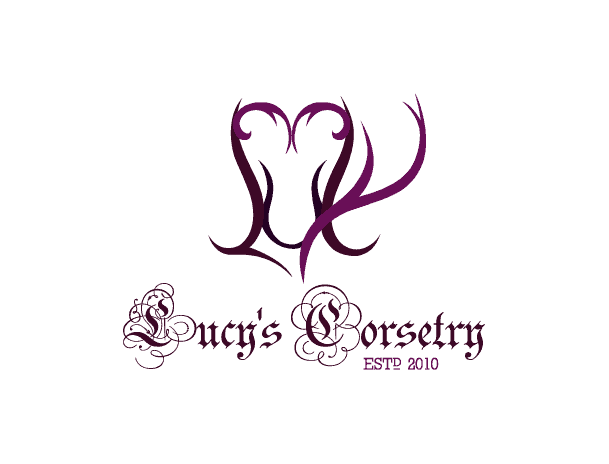 If you are curious about the corsets in my store, I have a measuring form here where I can recommend a size and style for you – and if you want extensive help, my consultation service is open and I choose exact corsets based on your preferences and parameters. Thank you! You are very detailed and even practical in your writings! I love the look of corsets but never tried wearing them because I was actually intimidated by them. In my eyes, a strange mixture of femininity AND structure/strength. I found your website and love that you provide so much information and videos. I’m not afraid anymore and will look into having a corset made. I’m currently losing weight and looking forward to training/shaping my waistline over time. Thanks again for being so informative & helpful! Hi I wanted to know your opinion on the new trendy “waist cinchers”? The kind that everyone seems to be using. I am a tall girl with a very straight build. I am looking to create and enhance the little hour glass figure I have. I have wide hips and a larger “rear” so I am hoping to accentuate my curves but am not sure which route to go? Also, I have always had protruding ribs so that is in addition to the rest just another reason for debating over the popular “waist cincher” or corset. I hope to achieve over time a smaller natural waist. Hi Megan, I have another article over here that explains the differences between the rubber / neoprene waist cinchers vs genuine steel boned corsets. I hope you find it helpful! I am about to order a corset from Orchard Corset but I wanted to do a little more research before I purchased it and I’m glad I did. My natural waist measures at 40″ and the woman on the website suggested that I get a 32″ but I’m a bit apprehensive now that I read this. Should I get a bigger size? Hi Cheyanne, what other measurements did you provide to the agent (ribcage, high hip, torso length) and which style of corset were they recommending for you? You can also use the calculator in my Lace Base to see which size and style of Orchard Corset has the best match to your natural rib and hip measurements. I bought a waist cincher 3 weeks ago and have been using it a lot, i’ve found exercising with one on sometimes hurts so I don’t know if I bought one a size too small or something. Hi Julie, I don’t recommend working out in any kind of corset. I explain the reasons here. I started wearing a corset. I got the waist training one with 26 double bones and modesty panel since I am 200 pounds. It fits well and is comfortable but I feel like my circulation is being cut off if it is too tight. My arms seem to feel funny and get numb and I sometimes get a headache. I have read many articles and no one ever mentions these things happening so I am wondering if I am doing something wrong. I don’t have it synched up 4 inches because I am afraid. What are your thoughts on this? Hello LadyGM, there should be no tingling or numbness in any part of your body while you’re wearing the corset, and headaches are not normal. The fact that it’s happening in your arms is very rare too. I don’t want to speculate anything in case it’s wrong, but if you experience this, be sure to loosen or remove the corset because it’s not normal. Perhaps it would be best to ask your doctor about why it may be happening. They may check your blood pressure, or maybe check for thoracic outlet syndrome which can cause tingling in the arms especially in women with a large or heavy bust. I’m not saying this to make you worry, it’s just better to be on the safe side and have it checked out by a medical professional who is already familiar with your history. Hello! Im just curious if you think that waist training would have any affect on loose skin? Hi Gabby, compression garments can help the skin bounce back after pregnancy or say liposuction surgery, but it depends on how long the loose skin has been there and how much of it you have. If you have had loose skin for many years, then corsets may have less of an effect (but it’s not like it’s going to make the situation worse). But I know people who use a corset regularly to stay more comfortable because it prevents the skin from moving and chafing. Hi Olivia, have you checked out the list of corset brands I’ve tried? They’re organized by budget. Another page you may find useful is “Can I waist train in that corset?” which covers some of the most popular OTR corsets. Hi! I just found your site! My hubby had shown me an article about corsets (I’ve been interested but only bought silly ones from like Frederick’s of Hollywood). I’d really like to get into corsets for helping me with a few things. I have a rather large bust and wearing bras and supports that hold up my bust by the shoulder cause a lot of pain. (I have been professionally fitted) I’d also like to help slim my waist. My bust is UK 32G (I have expensive import bras) and my waist currently is almost 37 inches. I’m looking for a cheaper corset (under $60 USD) to see if I can stand everyday wear and was wondering if you have any suggestions. I was looking at True Corset on Amazon, but I watched your review and it might not be the right fit since I am bustier, I’m also looking for overbust corsets so I can try to ditch bras. I remeasured my waist and its actually closer to 34″ but I do have chunky belly. Hello Melissa! Have you seen my gallery of corsets for large-busted clients here? All of these companies make overbust corsets specifically for this body type, although none of them will be below $60 unfortunately. You have to pay for quality and flattering fit! I also need to add Corsets Blvd Global to this list as they are very inexpensive and they accommodate about 10-11 inches difference between the waist and the bust. You can see my review of their corset here. Where do you get your beautiful corsets? Hi Deb, I have corsets from dozens of different makers! Usually if you watch the videos on Youtube, you will be able to expand the description bar below the video and I will usually have written the style and brand of the corset I’m wearing in that video. Or if you’re interested in a list of all the brands I’ve tried, you can see this page (it’s organized by budget too). If I can’t get a customized corset made what are some good, reliable websites to order them off of? im new at this and I have one question ..my corset seems to fit, but its very loose around the hip area. Is this normal? And if so will it end up conforming to my hips. Im very top heavy, big bust and lots of stomach weight. There’s something I’ve been curious about regarding waist training, but can’t find an answer for the life of me. Once you reach your goal waist size, how long will your waist stay at its reduced size once you take the corset off? I know you say yours stays for a day or more, but wouldn’t this vary depending on whether you’re altering the ribcage, muscle, redistributing fat, etc? Also, how many days will you have to wear the corset in order to maintain that shape? Waist training appeals to me, but I also don’t want to have to live in a corset after I’ve reached my goal. I know some time is still necessary, but hopefully not all day everyday. . . Is this the case? Mostly what I’m hoping a corset will do for me is reshape my ribcage, since I’m already slim and have curves. Hi Elisabeth, indeed how fast you achieve results, how dramatic your results, and how long your results last definitely depends on your personal muscle tone, size and orientation of your organs, body fat percentage, hydration level, diet and physical activity level, how malleable your bones are, as well as the duration that you wear your corset, the reduction you’re wearing it at and your tolerance to the restriction! So it’s impossible to predict exactly how quickly your body will change and how long they will last for. Yes, if you would like to have results out of your corset, you will have to do some “maintenance” corseting and wear the corset (at least occasionally) for as long as you’d like to keep the results. I talk about it in more detail in this video. I have always been fascinated by corsets. I just to buy them for fun and stop for economic reasons. Im only 5.2″ and 135 pounds and 46 years old. 2 year ago I hyperextended my waist in 6 week buy goin from 117 pounds to a 149 pounds thanks to a tumor on muy uterus and ovarian systs and chronic inflammation of my gallbladder. I had a full hysterectomy and gallbladder removal, now I have excess skin and cant afford a tummy tuck. I have a corsetiere map here, where you can see all the custom corset makers in your area – I have tried Puimond, his quality is quite good. With a personal fitting, they’ll be able to make a corset long enough to cover your abdomen sufficiently. While a corset is unlikely to help all of your skin bounce back permanently, they can help to pull up your skin while you’re wearing them and prevent jiggling or chafing of the loose skin, so it does help with comfort as you say. After you receive your corset, if you have trouble getting your skin up into the corset when you put it on, you can check out this link here which demonstrates how to achieve a smooth line. I hope this helps! Thank you for this article. I love how clearly you explained everything; as someone with very little corset knowledge, I was able to understand everything.